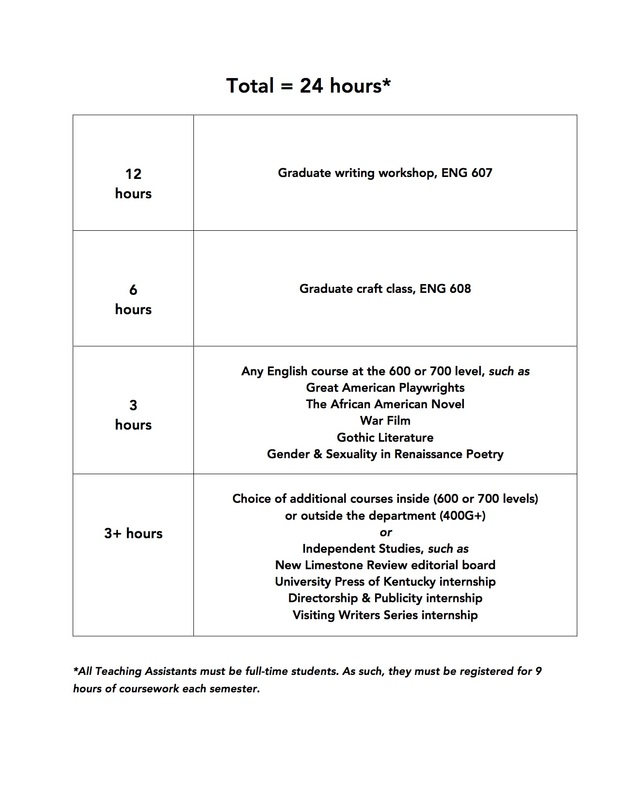 The course of study for the UK MFA in Creative Writing is very flexible and interdisciplinary in scope, combining a curriculum of studio and research. We place emphasis on fostering both the artistic process of the student and said student's literary study and related creative work. At the core of the curriculum are the writing workshops that concentrate on the production of fiction, poetry, and creative nonfiction. The second-year thesis hours (ENG 748) are dedicated to shaping each student’s work into book form. In addition, students must defend their thesis in an oral exam. Total credits must add up to 24 hours of coursework following a plan drawn up by the MFA creative writing faculty. All MFA candidates must fulfill the University regulations, as stated in The Graduate School Bulletin. 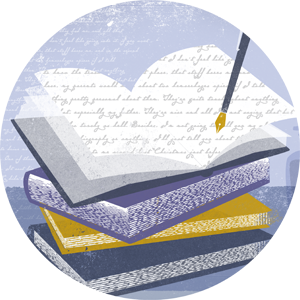 The thesis component of the MFA degree consists of a substantial body of original writing and an oral examination. Both are required for successful completion of the MFA degree. The thesis will be a substantial body of original writing—over 120 pages of fiction (short stories, novella or novel), non-fiction, or a collection of approximately 48 poems. A committee of three faculty members chosen by the student and approved by the Director of Creative Writing must approve the thesis.